Situated less than 700 yards from Dassia Beach the Villa Karmar offers a relaxed and tranquil environment for travellers to enjoy a peaceful holiday on the island of Corfu. The small and intimate hotel is set within a lush, tropical garden providing space for guests to relax in. The central pool area is perfect for taking a dip in the cooling waters or relaxing on the well-furnished terrace on of the comfortable sun-loungers or seeking shade under the over-sized parasols. Guests can enjoy cooling refreshments and light snacks throughout the day from the poolside bar. The on-site restaurant serves up mouth-watering international and local culinary delights in a family-friendly environment. The Villa Karmar, Dassia is the right choice for families and couples looking for a small complex which has a range of facilities and is close to the beach. 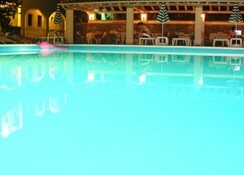 The hotel has a medium-sized swimming pool with well-furnished terrace. 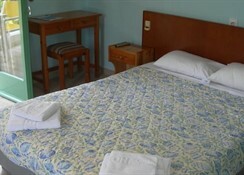 The hotel has tastefully furnished rooms providing guests with a relaxing environment. Facilities include an en-suite bathroom, air conditioning, in-room safe, kitchenette, TV, safe and balcony. 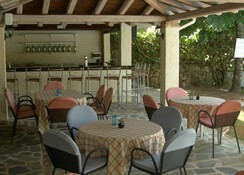 Guests of the hotel benefit from an onsite restaurant as well as the poolside bar which serves snacks and drinks. The rooms also have a kitchenette making self-catering a convenient option. 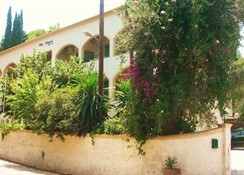 The hotel is situated a short walk from the beach as well as a range of tourist attractions in the area. Guests of the hotel will also find a variety of shops, bars and restaurants within walking distance.